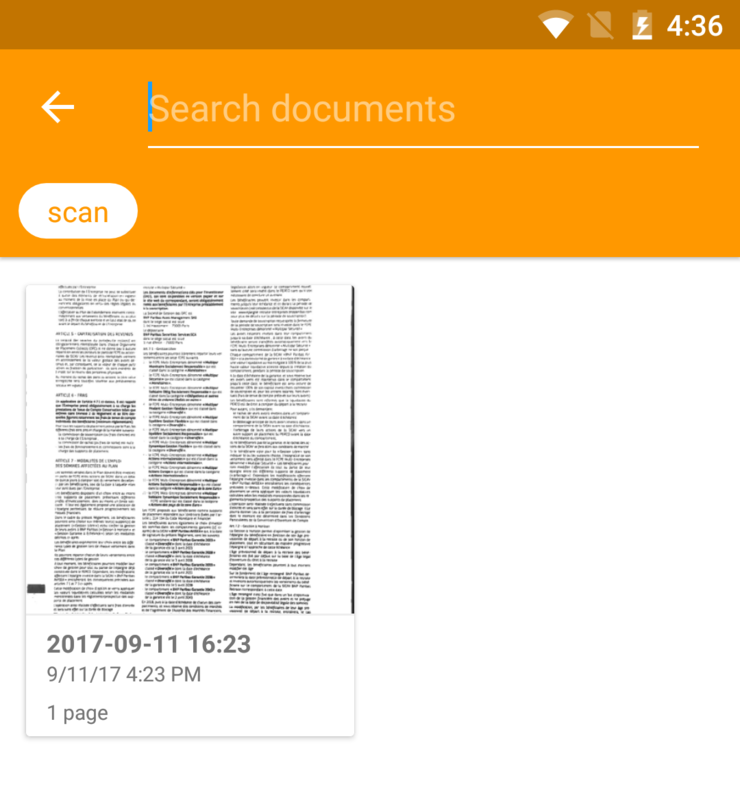 Starting with version 4.2 of Genius Scan for Android, there is no longer a Scans tab. Scans that were previously in this tab have been moved to Documents, and tagged with the "scan" tag. You can find them by searching for the "scan" tag as described here. If you want to delete all or some of them, select them with a long press and tap the Trash button. We decided to remove this tab to simplify the creation and organization of documents and to save you time. The Scans tab was mostly used to manage drafts of documents, for instance to take multiple scans and merge them later into a final documents. Now that you can use batch mode to scan multiple pages in one row, the draft section is unneeded. Scanning and sharing takes one less step as every new scan is automatically turned into a document now. Finally, because the iOS version of Genius Scan has never had a Scans tab, this change also makes Genius Scan more consistent for cross-platforms users. Documents can be organized with tags – for instance draft, important or final. Check out our article about tags to learn about this feature and how it can help organize your documents.